Action: At first time when opening project on QGIS 3.4.5 and 3.6 versions needs credentials to connect to PostgreSQL DB. Problem: But after that when connection is success with correct credentials the qgis repeatedly asks the same credentials again to connect to the same DB when the maps is zooming and moving and etc. With QGIS 2.18, 3.4.0, 3.4.1 versions all works fine and don't asking repeatedly credentials after first correct time. Maybe someone knows whats is wrong? You need to store the password during PostgreSQL connection adding. Once you did it. 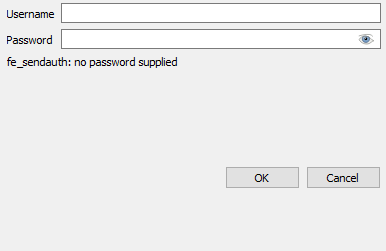 QGIS should not ask you again for the password. However, for single password insert it sounds like a bug in QGIS but without proper investigation is hard to say. Multiple reasons can cause this behavior that you're connection is trying to refresh. Not the answer you're looking for? Browse other questions tagged qgis postgresql connection password or ask your own question. How to connect Microstation V8i to Postgresql? How do I remove username / password from an ArcGIS mxd? 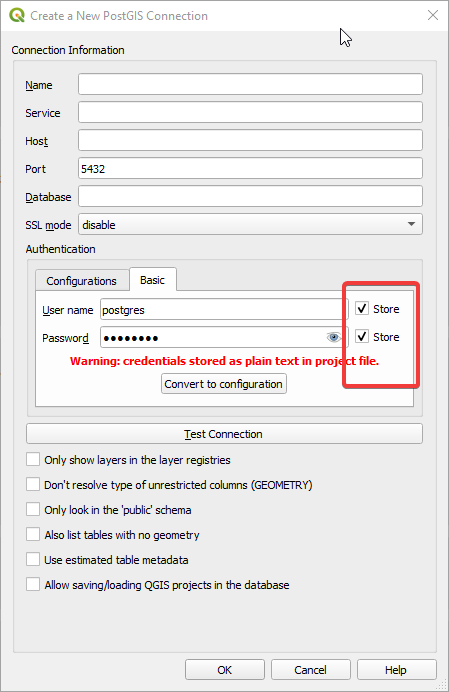 How to find forget password in QGIS DB manager?